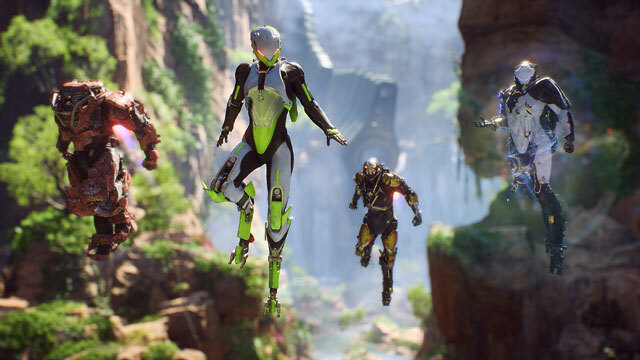 Since Anthem is going to be mission-based, you’ll be able to select which difficulty you want to play on. There will be six difficulty levels to choose from: Easy, Normal, Hard, and three Grandmaster levels. The harder mode you go for, the better rewards you get. However, the difficulty goes up quite significantly the further up the ladder you push. So, how exactly will these difficulty levels work? According to IGN, the first three difficulty levels are the usual suspects. There’s Easy, which pretty much guarantees that you’ll be able to blast through the mission solo with little trouble. Then, there’s Medium, which you can still solo, but only if you’re really careful and know what you’re doing. As for the Hard difficulty, that’s where the script starts to flip. This is where you’ll have to start squading up and start planning out your approach to the mission. However, as difficult as the Hard Mode might end up being, it’ll likely seem like a stroll through the park compared to the next three levels. That’s right, three levels. After you manage to complete missions on Hard, Grandmaster levels 1, 2, and 3 start to unlock. These three ramp up the difficulty dramatically, with enemies that have more and more health and deal more and more damage. Up to 3,100 percent on the highest level. You’ll need a “fully kitted out squad of Javelins and preplanned loadouts that synergize with one another in order to get it done.” Damn, that sounds rough. That said, beating these levels will grant you the best gear in the game, sooo… good luck to ya! Anthem is launching on Friday, February 22nd, on Xbox One, PC, and PlayStation 4. Those that have an EA Access or Origin Access subscription, you can make use of the Early Access and start playing a week earlier, on February 15th. Also, there’ll be a demo / beta on February 1st. You’ll get access to it if you have the aforementioned subscription, or pre-order Anthem.